I make known the end from the beginning, from ancient times, what is still to come. I say, ‘My purpose will stand, and I will do all that I please.’ From the east I summon a bird of prey; from a far-off land, a man to fulfill my purpose. What I have said, that I will bring about; what I have planned, that I will do. One of the most fascinating aspects about the people of Israel is their sacred book (which we call the Bible) and its mind-boggling prophecies. 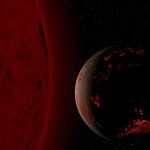 These are God-inspired predictions of events declared long before they happened, written by people who lived ages before the concerned generation even came into being. What people and what God does this? In a world of many religions, one cannot help but be amazed by the God of Israel’s bold declarations of the future. Today we see predicted events unfolding before our eyes, and especially those concerning Israel’s future. The timeline is best viewed on desktops, laptops and tablets. Why look at Israel, or even think about this tiny little country? After all, Israel has only some 8 million people and is only the size of Wales. And isn’t stubborn little Israel a thorn in the flesh for the Palestinian people and a hard nut to crack for the UN politicians? Yes – all that is true. 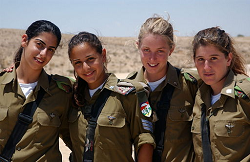 But there is more to Israel than meets the eye – and the vast majority of the population fails to see it. 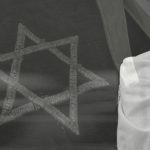 A look at the facts, and a little reading of the Bible shows that Israel’s history and future are extremely important for the nations; she cannot be ignored. Like it or not, the milestones in Israel’s history and the prophesied milestones for the future are crucially important for the world. They affect all nations and all individuals. 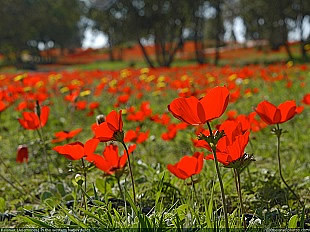 The aim of this site is to be an eye-opener to the mystery of Israel. We want to spread the truth about the amazing role of Israel and how it can give us hope in an increasingly violent and chaotic world. Don’t walk away – this divine timepiece is running fast and events surrounding Israel will soon embrace the whole world. 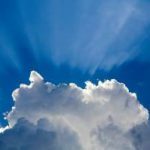 Whether you believe in the Bible or not, this site offers food for thought that you might find interesting and worth studying. The Jewish State of Israel occupies the land the Jews call Israel (and Christians refer to as the Holy Land). The Gentile world and the Arab nations also refer to this land as Palestine. The (so-called) Palestinians want to establish a Palestinian state on some (and preferably all) of the land called Israel. Hence the Israeli-Palestinian conflict. Let’s summarize the facts. No Palestinian People: There is no historical Palestinian people. Despite the strong Muslim presence over the centuries, by the early 20th century Palestine was simply a mix of many peoples representing some 50 languages [1911 Encyclopedia Britannica]. ‘Palestine was ethnologically a chaos of all the possible human combinations’ [Richard Hartmann, historian], and so it did not share a common Arab identity. A ‘Palestinian people’ only came to prominence from the indigenous Arab population in response to increasing Jewish immigration after WWI. 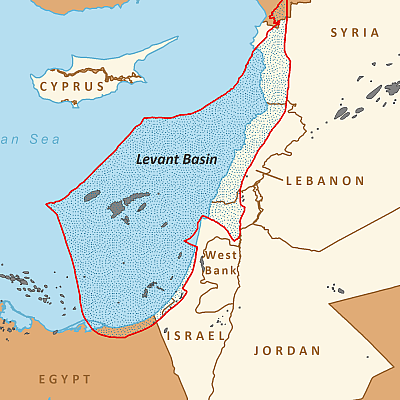 Land Partitioning – a Two-State Solution: Under the 1917 Balfour Declaration Britain supported the creation of a Jewish home in Palestine, with the proviso that the civil and religious rights of the existing non-Jewish communities were preserved. 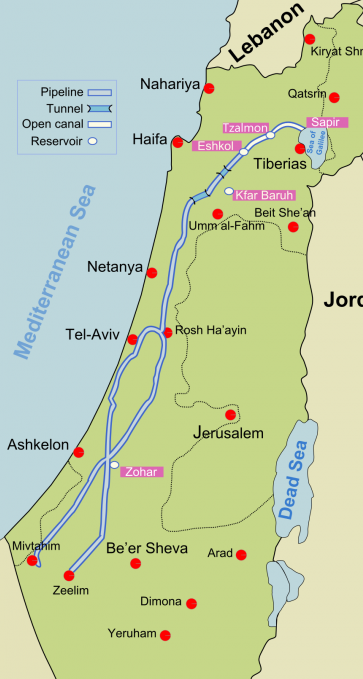 This Declaration was based upon the biblical promise to Abraham and was formalized by the 1922 British Mandate for Palestine, where Palestine was defined as the land west of the river Jordan, including Judea and Samaria (now called the West Bank). In 1947 nearly half of Palestine was owned by Arabs, nearly half was “Crown Lands” under the 1922 British Mandate, and about 8% was Jewish. 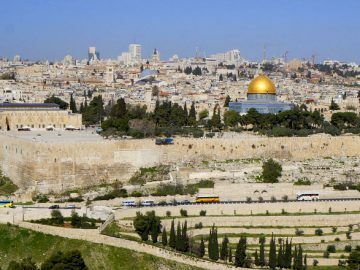 In the same year UN Resolution 181 recommended that this area be divided equally into an Arab state and a Jewish state, and Jerusalem was to be ‘internationalized’. The Jews accepted the resolution but the Arabs rejected it. When the British left Palestine, the Palestine Mandate was absorbed into Article 80 of the UN Charter, and still stands today. 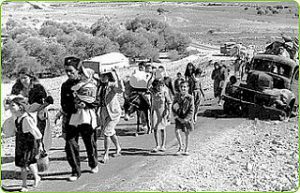 Palestinian and Jewish Refugees: Since the two-state solution was rejected, immediately after the Declaration of the State in 1948 the Arab nations (notably the Egyptian and Syrian armies) invaded Israel. 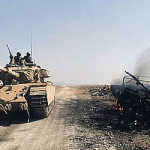 In this so-called ‘War of Independence’, many Palestinians evacuated their homes under direction from Arab armies, hoping to return soon after the inevitable Arab victory, link. Instead, over 700,000 Palestinians became refugees that year in what is known as the Nakba (Arabic for catastrophe). 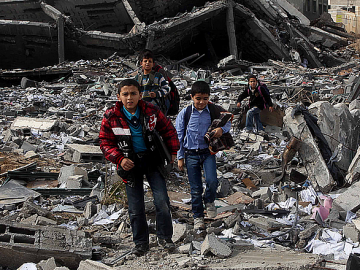 A further 250,000 Palestinians fled to the West Bank or Gaza Strip during the 1967 war, link. 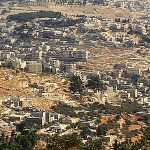 What is not so widely known is that this war also displaced Jewish inhabitants of East Jerusalem link, and between 1948 and 1951, over 800,000 Jews were effectively forced out of Arab countries by oppression and persecution. These also became refugees, link. 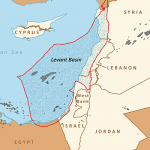 Israel’s Temporary Borders: After the 1948-49 war, the Arab countries refused to sign a permanent peace treaty with Israel and so the 1947 UN Commission proposals never received legal international recognition. 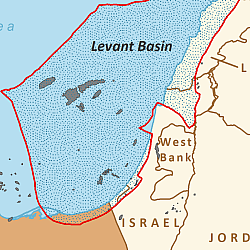 Instead, Israel’s temporary borders were established along the so-called ‘Green Line’ of the 1949 UN armistice agreements. 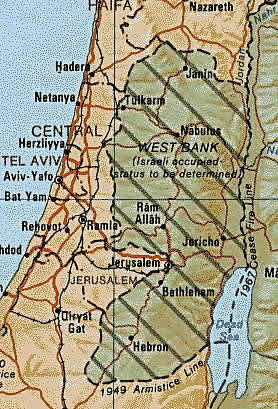 This line excludes Israel from the West Bank and Gaza. Its originators never intended it to be Israel’s permanent borders. The Concept of ‘Land Occupation’: Since the 1967 Six-Day War, the international community (notably the media) has claimed that Israel is “occupying Palestinian land”. But in international law, a territory which has never been subject to the sovereignty of any state is declared terra nullius, and sovereignty over such territory can be legally acquired through occupation. This is the case of the West Bank and Gaza; neither have been legally recognized states and so legally cannot be occupied territories. So in the 1967 war, Israel simply took back Palestine Mandate land that was taken from her by war in 1948-49. Today, Israel’s legal borders are still defined by Article 80 of the UN Charter and span from the River Jordan to the Mediterranean Sea. 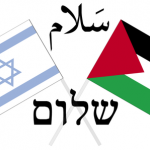 According to Article 80, “nothing shall be done which may prejudice the civil and religious rights of existing non-Jewish communities in Palestine”. The land of Israel was meant to be home for the non-Jewish peoples as well as home for the nation, Israel. Sadly this has not happened because the Arab leadership refused, and still refuses to accept the State of Israel and so peace cannot be achieved. Put simply, the salvation of mankind comes through the Jewish Messiah, Jesus, link. This fundamental truth is why the enemy of mankind persecutes Israel. There is a spiritual war against God’s chosen people, Israel, and aggressive nations and leaders (including the UN and the Palestinian leadership) are simply Satan’s pawns. The Israeli-Palestinian conflict is just one example of this hidden but very real spiritual war. The Bible liken’s the nation Israel to a fig tree. A fig tree produces both good and bad (inedible) fruit. So it was with the nation of Israel. Jews who were whole-hearted followers of God were likened to ‘good figs’, and rebellious Jews were likened to ‘bad figs’. The Bible also says that at the end of this age Israel will ‘blossom and bud’ and ‘put forth new leaves’ like a fig tree, and that this will be a sign of the imminent return of Israel’s true Messiah – Yeshua (Jesus Christ). 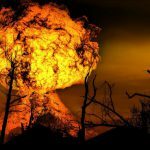 Put simply, the Bible says that end-time events in the world will be closely linked to modern Israel. Now learn this parable from the fig tree: When its branch has already become tender and puts forth its leaves, you know that summer is near. So you also, when you see all these things, know that it is near – at the doors! Why did Jesus associate a fig tree with the end time signs? Some argue that Jesus was just using a simple horticultural observation. Quite simply – the fig tree is one of the last trees to bud in the spring and so when it’s leaves are budding we know that summer is just around the corner! 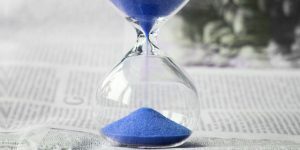 So, they argue, Jesus was simply saying; “when the fig tree buds you know that summer is near – likewise, when you see all these things happening, know that the end is near”. 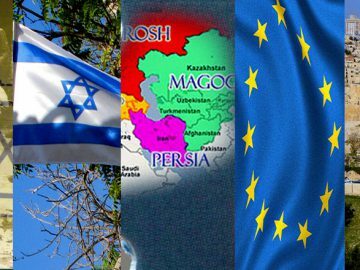 They deny that there is any positive association of Israel with a budding fig tree, link. On the other hand, Jesus used the concept of a parable, implying that underneath He was teaching a deep truth. Was He referring to Israel in the last days? 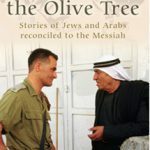 Should we view the Parable of the Fig Tree as The Parable of Israel the Fig Tree? 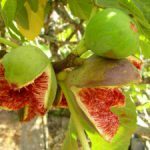 The common or edible fig (Ficus carica L.) is native to the Mediterranean/Israel region, where it can produce three crops per year, link, link. Breba figs develop in the Spring (May) on the previous year’s shoot growth. 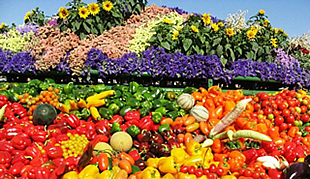 They are generally inferior to the main crop and are often discarded to encourage growth of the main crop, link. 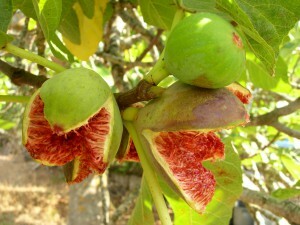 Two main crops follow in July-November, with pollinated (caprified) figs in August-September. Pollination (caprification) of the common fig can markedly increase fig size, link and is done by fig wasps transporting pollen from Capri fig flowers. In contrast to most fruit trees, the Autumn figs (the main crop) develop on the new wood that grows in Spring. Jeremiah 24.5-8 shows that God is referring to those Jews who are whole-hearted followers of God (the good figs), and to those rebellious Jews who had rejected God (the bad figs). Likewise, in the time of Christ, most Jews rejected Him and remained dead in their works and legalism. 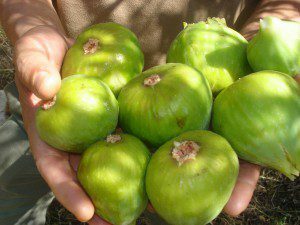 They were like green, unripened, unsweetened figs. 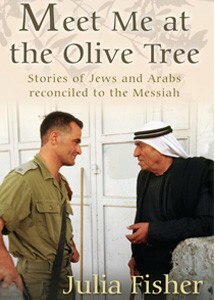 Today, most Jews can be seen as green figs, whilst a few (the messianic Jews) are like sweetened ripe figs. Note that Jesus refers to the tender branch, implying new wood and the coming good summer fruit on the new wood. 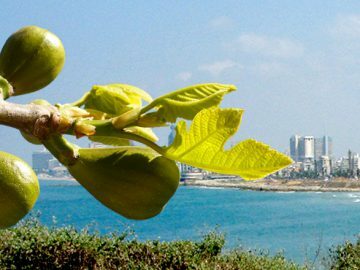 Since the fruit of the fig tree is established in the Old Testament as symbolizing the spiritual state of the people of Israel, many see this coming ‘summer crop’ as the restoration of the people of Israel (generically referred to as ‘Jews’) to their own land. The fruitless dead wood of scattered Israel is replaced by fruit on new wood. 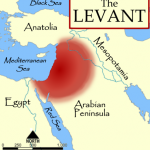 It is likened to a people drawn back into their own land and a nation that becomes a sign to the Gentiles. A remnant of this people become ‘the good, sweet crop’. This process has been underway now for over 100 years, link. I looked and saw a great multitude … of all the nations … clothed with white robes … these are the one’s who come out of the great tribulation (Rev 7.9,14). 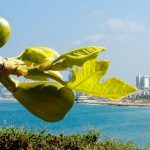 It seems that when Jesus spoke of the appearance of new shoots on the fig tree as signalling that summer is near, He was actually alluding to the restoration of Israel and His imminent return. He was saying that when we see Israel regathered in her own land and ‘budding like a fig tree’ then His return is near – even ‘at the doors’. This will be the time of the coming of the fullness of the Kingdom of God on earth. In Luke 21 Jesus said ‘look at the fig tree (Israel) and ‘all the trees’ (the Gentile nations) and so observe the signs of the times. He implied that Israel will be the vortex of the nations. 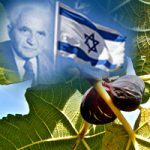 So let’s now apply the parable of Israel the fig tree to the observed world scenario and ask the question, ‘When did the fig tree (Israel) start to bud?’ ‘When did Israel emerge onto the world scene?’ When we trace a timeline of world events from this time we find that many issues of today are closely linked to Israel! We see that Israel is increasingly the vortex of the world. The timeline below is best viewed on desktops, laptops and tablets. Historic Babylon and historic Rome were seats of power and authority over the world in their day. And today we see the ‘big five’ governments (China, France, Russia, the United Kingdom, and the United States) in similar but larger seats of power. What do all these governments have in common? They were and are secular and Godless. 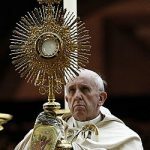 Despite strong Vatican influence over Europe the EU has a ‘Godless Constitution’, and even ‘Christian America’ has a ‘Godless Constitution’, link. What about a Future World Government? 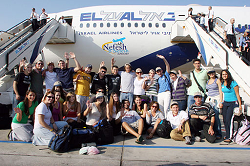 Yes – it is certain that Jerusalem will soon be the seat of the future world Government. The eyes of the nations will be on tiny Israel. 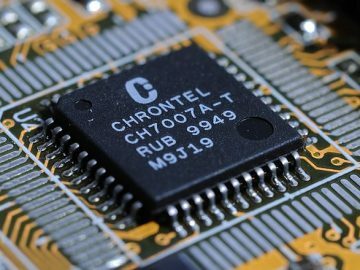 Is the future really determined by technology? Or is mankind’s future determined by some transcendent source? 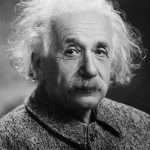 “Predicting the future is important for two reasons; first we need to start to think about what kind of future we would like for ourselves and to pass on to the next generation, and then we need to know what decisions we need to make today that will give the best result in the future“. 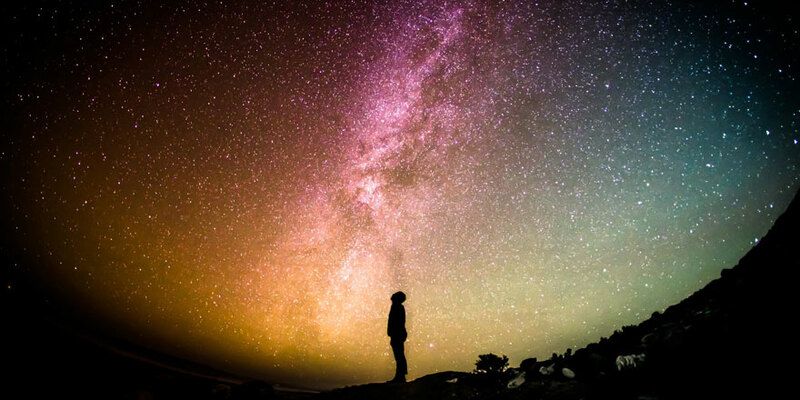 Noble thoughts – but who can control the future? Well … the UN thinks it can with its 17 Global Goals by 2030 e.g. end poverty, combat climate change and fight injustice, link. But is technology really the answer to solving the world’s problems? Are there deeper issues at stake here? Lets be pragmatic. After 6,000 years of steady human progression the global scenario suddenly seems far less certain. From many aspects, life as we have known it suddenly looks threatened. We see demographic, climatic, environmental, financial, social and political instability. 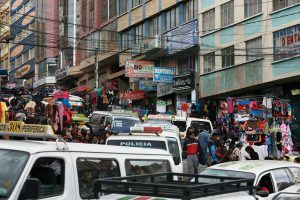 The population of Mexico City was 21 million in 2016. That’s large! 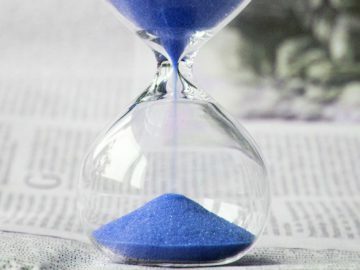 End time demographic and financial instability was seen by the prophet Isaiah: “The city of chaos is broken down; Every house is shut up so that none may enter“. Over the last 50 years we have seen rapid world population growth (3 billion to 7.5 billion), the emergence of a New World Order, an undemocratic EU, electronic (cashless) trading, international terrorism, cyber warfare, nuclear proliferation, an apostate (liberal) church, the rejection of biblical morality, severe weather events, and increasing national debt. We even foresee possible asteroid impact, link! What is the UN going to do about asteroid impact? 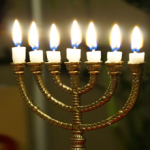 The seven-candle Menorah was used in the ancient Jewish Temple, link, and a type of Menorah is lit in Jewish homes today. 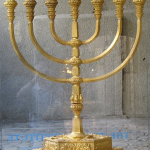 The Menorah’s God-given design symbolizes God’s light spreading throughout the world. The center candle symbolizes light given to mankind (the other six candles) through progressive revelation. 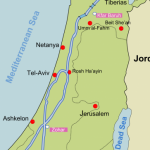 This is seen through the history of Old Testament Israel e.g. through the Mosaic Law. 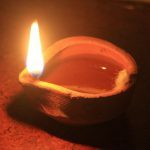 Non-Messianic Jews see the center candle as a longing for God’s light to come and dwell (or tabernacle) among them. So today, both the Christian church and God’s servant Israel should be the source of the light needed in today’s dark, unbelieving world. They should reflect the light (truth, hope and reconciliation to God) given to mankind through Jesus, or Yeshua. 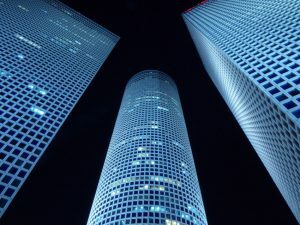 Israel Shines the Light on the Future – Watch what is Happening! An ensign means a national flag signaling the authority of the rightful owner! God owns the land and people of Israel (although many secular Jews still don’t recognize this). Israel is center to God’s plan for the future. So watch Israel and read about prophesied events, and the future is revealed. Ignore the UN’s goals and advances in Artificial Intelligence (AI). Ignore age reversal pills and hyper-intelligence brain implants. Even ignore climate change. 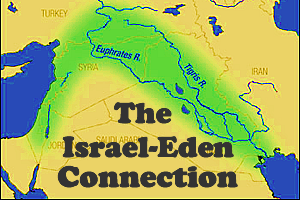 The real issues are revealed in prophecies concerning Israel. Now what about that! 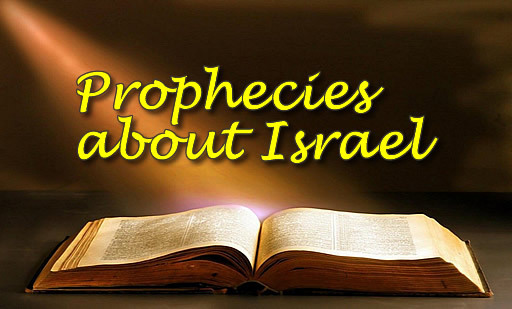 There are many other prophecies pertaining to the future, but they all relate back to Israel. His point is this: despite any future technological, political or social progression, one question will remain; “Who am I?” The answer is found only in believing in Jesus Christ – the true Jewish Messiah. 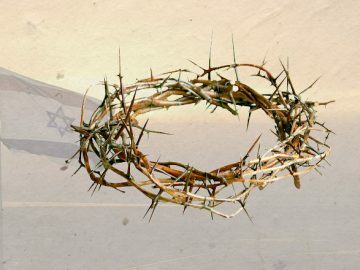 Jesus and Israel: What’s the Connection? and the Israel we observe today (the people and the land)? What do Jews and Gentiles think of Jesus? Will today’s Jews every recognize Jesus as their ‘Messiah’. If so, when? Are there two biblical Covenants, one for Jews and one for Gentiles? 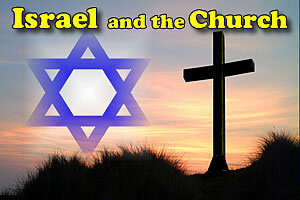 Or does the covenant promise to Israel merge into the New Covenant given to the church? What is Christ’s relationship to the nation, Israel? 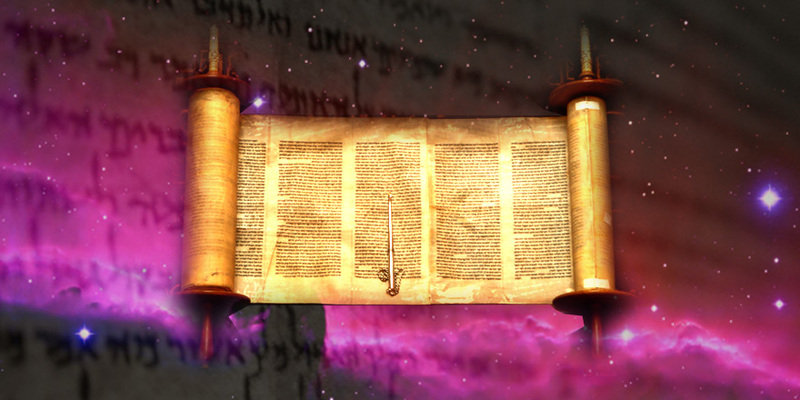 Did Jesus’ teaching replace the laws of the Hebrew scriptures? 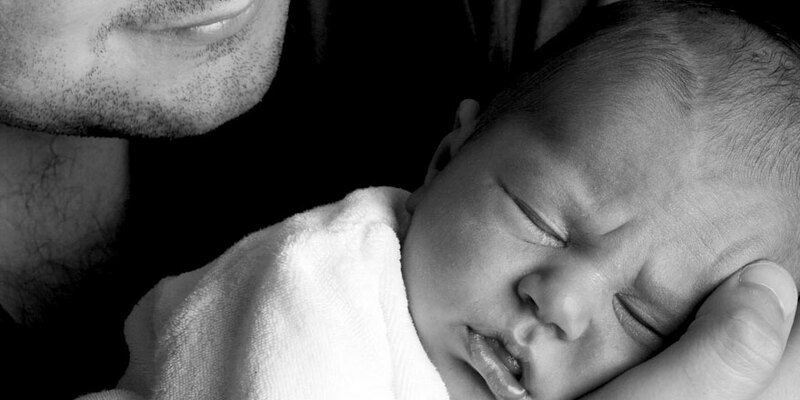 Does Jesus fulfill the promises of blessing given to Abraham, Isaac and Jacob? Put another way, does Jesus and His church fulfill the role originally assigned to the nation of Israel – to be a light to the nations? Has Christ’s church replaced Israel, as in Replacement Theology? 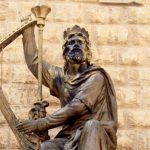 If Jesus and His church have taken the place of Old Testament Israel, what is the status and role of the nation of Israel today? 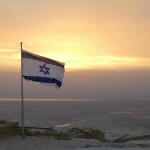 Is the modern State of Israel a product of man’s will, or a fulfillment of God’s prophetic word? 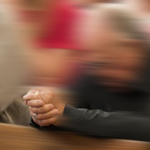 Does God recognize as ‘spiritual’ Israel all who respond in faith to follow Jesus? Is the church related to the so-called ‘Ten Lost Tribes’? Are their descendants scattered amongst the Gentile church, link? 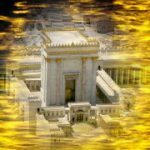 Did Jesus’ primary ministry (reconciliation of man to God) fulfill all that the Old Testament temple symbolized? 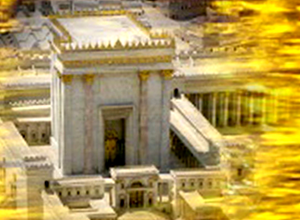 Is a new temple in Jerusalem needed (as some maintain)? 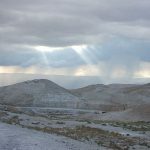 Does the modern State of Israel have any claim to the land (Canaan) promised to Abraham and his descendants, noting that Israel failed to keep God’s covenant? Put another way, are modern Jews still the true heirs of the land promised regardless of their continued unbelief in Jesus? 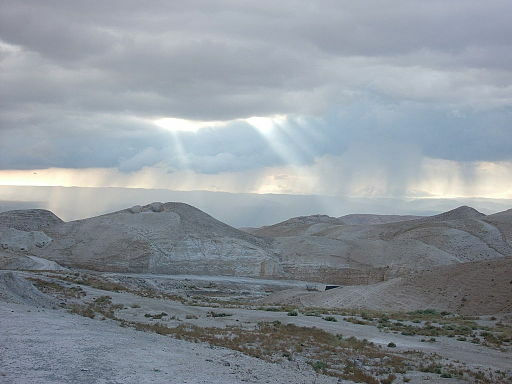 In his book Jesus and Israel: One Covenant or Two?, David Holwerda (professor of New Testament Studies, Calvin Theological Seminary) argues for a spiritual fulfillment of Bible prophecies, link. He rightly concludes that there is only one covenant and that “The way of salvation for both Jew and Gentile is the same because both must call on the name of Jesus to be saved“. But does a spiritual view of prophecy fit with the facts, with observed reality, with what we see happening in Israel today? Why can’t we take a pragmatic view of prophecies where the text is quite clear? And He came not to abolish the Jewish Law or the Prophets, but to fulfill them (Mat 5.17). 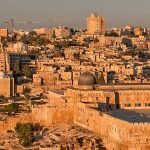 Jesus’ Second Mission: Why does Jesus return to the Jews in Jerusalem and not to the politically important people in the UN or the EU, for instance? The answer is that prophecy explicitly states that Jesus returns to rule the Gentile nations with justice as King from Jerusalem (Zech 14.9,16,17). 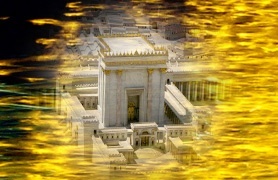 He returns to sit on the ancient throne of king David, who reigned 33 years in Jerusalem (Isa 9.7). Again, these promises are difficult to spiritualize. 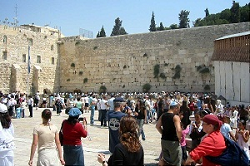 Jesus returns to Jerusalem: Bible prophecy says that Jesus will return at the end of this age. And the place of his return? Jerusalem! So at the outset, Jesus and modern Israel are inextricably connected via modern-day Jerusalem. 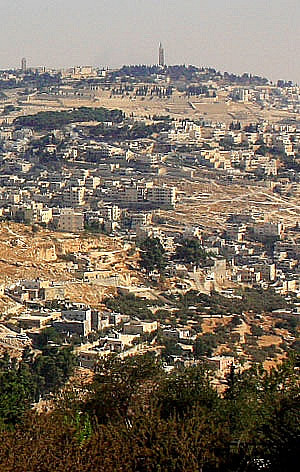 Geologists have even discovered a fault line running through the Mount of Olives, as required for the mountain to split in two at Christ’s Second Coming (Zech 14.4). That is difficult to spiritualize. 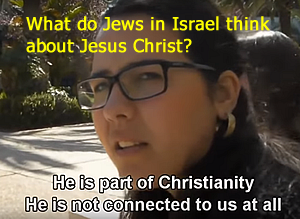 As the video implies, most Jews in Israel today reject Yeshua (Jesus) as their looked-for ‘Messiah’ or ‘Moshiach’. 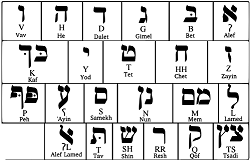 Apart from a minority, those who claim to be religious follow Judaism, not Yeshua. This is alarming – but a fulfillment of prophecy. According to prophecy, God’s people (generically, the Jews) will return in unbelief to the land promised to Abraham and his descendants. 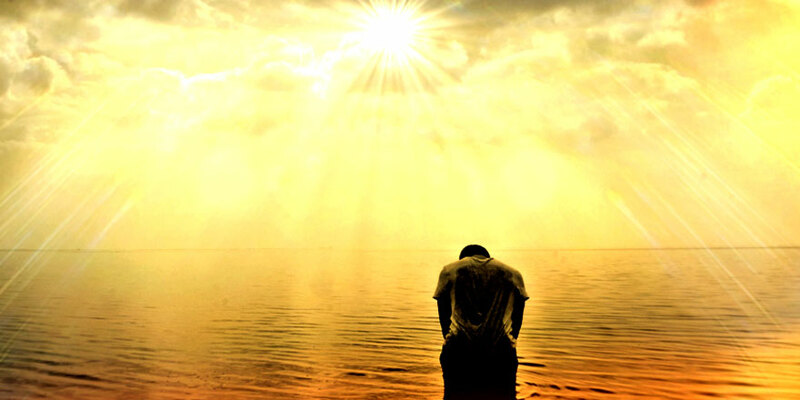 The New Testament says that these Jews are suffering a temporary spiritual blindness and a temporary hardening of the heart towards God and especially towards Yeshua (Rom 11.25). Only at the very end of this age, under tribulation, does the vast majority of Jews recognize Yeshua as their Messiah (Zech 12.10-14). 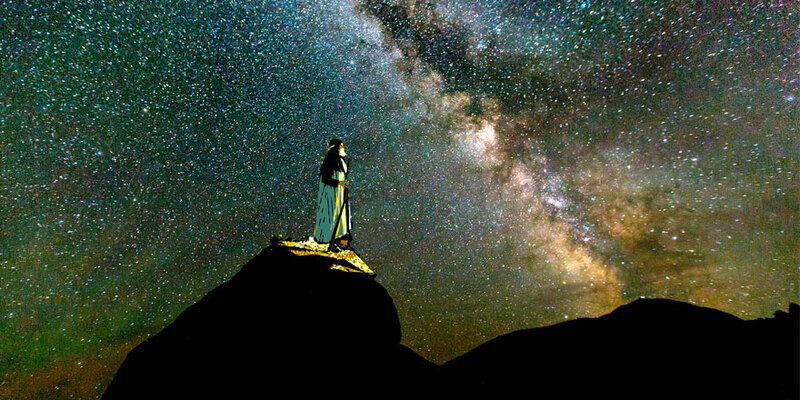 In an ever-darkening western world, skeptics claim that nobody of our era has seen Jesus of Nazareth as the person who lived some 2,000 years ago. Where is he? He died didn’t he? For example, a vast majority of young people in Europe now reject Christianity, link. Some 70% of young people in the UK identify with no religion. Yet billions of people worldwide who call themselves Christians believe he is a living person, trust him, and hang on to every word he said, as written in the New Testament writings of the Bible. And it is these same scriptures that give shocking warnings to those who don’t believe and consciously reject him. The warnings are so radical that they are brushed off as delusional ideas of the disciples of this controversial personality. The warnings are seen as fundamentalist dogma. 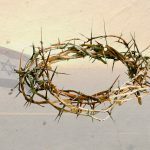 Here’s a series of four thought-provoking exposés about Jesus of Nazareth, born in the land of Israel as a Jew and predicted to return to Jerusalem to become King of a world-ruling government. Jesus the Creator: He died for His creation. Do you believe it?